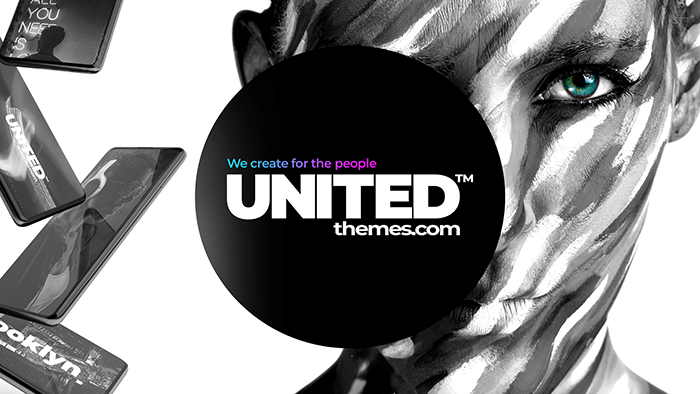 United Themes Help Desk for our WordPress and HTML Premium Customers. Open for the whole community! To join and meet each other. Exchange and make friends. This area is not for theme support! If you have any pre-sales questions, please post them here in here and we will answer them promptly. NOT FOR THEME SUPPORT! Feel free to join our awesome communtiy! We love you guys! NOT FOR THEME SUPPORT! Newest web design trends... NOT FOR THEME SUPPORT! Share your experience with Brooklyn... NOT FOR THEME SUPPORT! Post here if you have any issues with the forums. NOT FOR THEME SUPPORT! Sometimes we release stuff for free! NOT FOR THEME SUPPORT! This is the place where we can talk about anything you like... NOT FOR THEME SUPPORT! Für alle Brooklyn Liebhaber, hier findet der deutsche Brooklyn Premium Support statt. Get support for our Nevada WordPress theme. Get support for our Nebraksa WordPress theme. Get support for our Delaware WordPress theme. Get support for our Maine WordPress theme. Get support for our Melrose WordPress theme. Get support for our Aries WordPress theme. Get support for our Nevada HTML template. Get support for our Trenton HTML template. Get support for our Lansing HTML template.